As Facebook is one of the most used social media applications, they focused their research on this platform and you might be very surprised to find out the true impact of just one simple photo-based advertisement. Before we even look at the impact of Facebook ads, it is interesting to note that just Facebook operating produces 718,000 metric tonnes of carbon dioxide equivalent, which equates to 153,747 passenger vehicles driven for one year non-stop. Offices and other business activity accounts for 28% of the carbon footprint with the other 72% being from the data centres (Facebook, 2017). When we get down to calculating the lifecycle impact of an online advertisement, there are many factors that play a part in its negative impact on the environment. To provide some context, in terms of electricity alone, producing one advertising photo will use an average 15 KWh which equates to 43 kilometres driven in an average passenger vehicle, (EPA, 2017). They are some astounding results for simply producing one digital image. Yang and Fu further calculated the impact from production through to consumption for a photo advertisement and concluded that when one customer sees the advertisement, 8.312 kg carbon dioxide equivalent will be released, and this quantity increases with the number of impressions, viewers and electricity usage. As you can see, the data suggests that going digital isn’t the greenest option after all, with many factors contributing to its environmental impact. In fact, the more that a digital ad is seen and shared, the greater the environmental impact is. To put this in comparison to an advertisement found in a magazine, once the advertisement is created and delivered, the environmental footprint essentially ceases. It could be opened one million times and its initial impact remains the same. This leaves us asking the question, why are marketers turning to digital advertising when a click of a button to view and share an image is leaving such a strong carbon footprint? The findings prove that print is a more environmentally sustainable channel to share content, a message or market a brand as it positively outweighs the ramifications of digital. As consumers at the receiving end of advertising, we share a responsibility to reduce our carbon footprint. In order to do that, we need to be aware of digital advertising impacts before beginning to find solutions to decrease it at every step of the process. However, as consumers are wanting to leave the world better than the way it was found, options to offset environmental impact are becoming more available. Take Qantas Future Planet for example. The airline giant understands the impact air travel has on the environment and have implemented a program for Qantas flyers to offset their travel by donating money to an initiative dedicated to building a sustainable future. And it’s working. Since 2007, Qantas Future Planet, through the help of travellers, have offset over 2.5 million tonnes of carbon emissions making them the largest offsetter of any airline. Impressive results. According to Yao Yang and Wanting Fu’s research, Facebook is already improving its GHG output by adopting renewable energy sources as well as making changes to its computing and data centre efficiency. Luckily, they have even committed to powering their business with 100% clean and renewable energy. 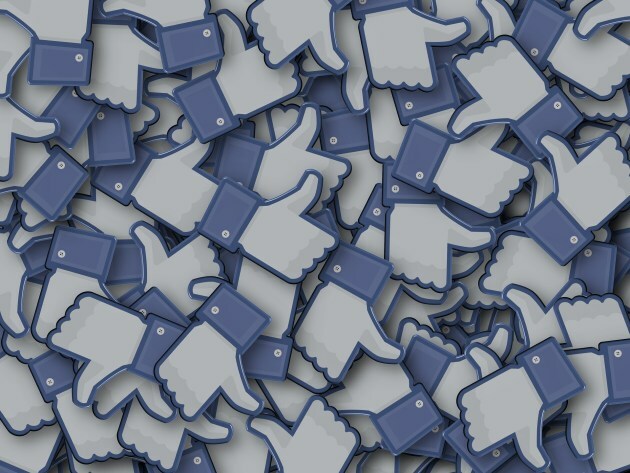 Taking their environmental responsibility further, Facebook and other social media platforms could create similar initiatives to offset carbon impacts, making this the new norm. Finally, as marketers we have a responsibility towards the digital content we create and share. Selecting the right content for the right audience has never been more critical, not only from a budgeting perspective, but also for the environment. Considering 72% of Australians ignore online ads, it is arguably much more effective to implement a marketing campaign through a strong print channel that will produce intended results as a way of reducing GHG emissions while staying true to a budget. To wrap it up, is social media marketing currently an ‘environmentally friendly’ act? No, not at the moment. Yao Yang and Wanting Fu’s research concludes that digital advertising is detrimental to the environment, and unless the necessary actions are taken to offset carbon emissions from using the technology, it will only continue to worsen. Facebook and other tech giants need to ensure they are recognising the impact of digital and start working towards a greener environment. As seen in VoPP Mag Issue 4 – The Direct Issue. Go to vopp.com.au/subscribe to be on the mailer for the next issue: VoPP Mag – The Food and Wine Issue. To receive a copy of The Direct Issue, email info@vopp.com.au. The explosion of online advertising expenditure in recent years confirms that marketers have a love affair with digital. Investments in Australia saw a $2.3 billion increase from $5.3 billion in 2015 to $7.6 billion in 2017, (IAB, 2017). We can’t deny it; online advertising has fast become one of the go-to channel for marketers. Despite the fact that many consumers have reported negative emotions towards online advertising, with 67% of Australians and 64% of New Zealanders saying they find it annoying and usually irrelevant, and 25% of Australians and 20% of New Zealand PC users adopting ad blocking software, marketers still invest in digital, salivating over its ease of use, measurability and perceived positive environmental credentials. Digital can be convenient and provide instant analytics, however is it environmentally friendly? The issue regarding the environmental impact of paper and print versus digital advertising is long debated and often one-sided. With many marketing campaigns out there tooting the environmental benefits of digital, Yao Yang and Wanting Fu, University of Sydney Masters students, zeroed in on this topic to find out if social media advertising is an environmentally sustainable marketing strategy after all.